As part of the ‘Improving Care’ feature zone, jointly with Rightcare and the Elective Care Transformation Programme, GIRFT will be showcasing how we are using a clinically-led approach to tackling unwanted variation in all of our specialities across the country. We will also be demonstrating how we are working closely together with the other two programmes to ensure the best possible outcomes for patients and securing the most efficient use of resources. 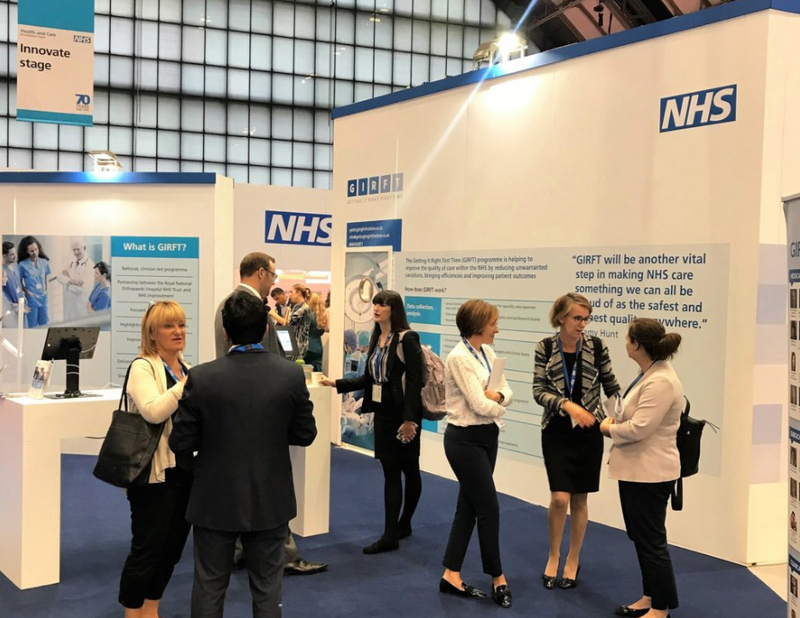 As well as our programme of presentations, attendees are invited to visit the stand at any point across the Expo, where GIRFT representatives will be available to explain more about the programme. Join us at one of our sessions in the Improving Care Zone. Delayed follow up appointments are the main cause of avoidable sight loss in patients. Every year more than 150 people lose their sight as a result of delays in NHS follow up. NHS Englands National Elective Care Transformation programme, with Getting It Right First Time (GIRFT), are implementing a fail-safe prioritisation model which will ensure appropriate follow up review and treatment for patients most at risk of avoidable sight loss. It requires hospital eye services to prioritise patients based on their risk of significant avoidable harm due to treatment delays, and local health economies to complete an eye health capacity review. This session will outline the joint working to implement the specification in England. Getting It Right First Time (GIRFT) is a national programme designed to improve clinical care within the NHS by reducing unwarranted variations. By tackling variations in the way services are delivered across the NHS, and by sharing best practice between trusts, GIRFT identifies changes that will help improve care and patient outcomes, as well as delivering efficiencies such as the reduction of unnecessary procedures and cost savings. This session will explain how the GIRFT methodology works, some of the findings from our senior clinicians, and how changes are taking place to radically improve care. Getting It Right First Time (GIRFT) has in place a comprehensive programme to help implement the recommendations highlighted in each national report including support to individual providers to implement these recommendations locally. This session will explain, how at a local level, GIRFT supports change and strives to embody the shoulder to shoulder ethos which has become the programmes hallmark as we support clinicians, managers, Trusts, STPs and CCGs nationwide to deliver continuous quality improvement for the benefit of their patients. This session will present an overview of a newly developed Frailty Pathway. It will focus on the national challenges, priorities for optimisation and high value interventions to improve service delivery. Priorities for optimising frailty services will be covered in more detail including advice and guidance on how to use the Pathway to improve services at local level. Data is used across these two national programmes to support local health systems in identifying benchmarked position and progress against local plans and where they have variation in spend, quality of care and outcomes, as a starting point for identifying opportunities for improvement. The session will demonstrate how these programmes use and interpret the data, and how systems can use this information to decide what to do next.